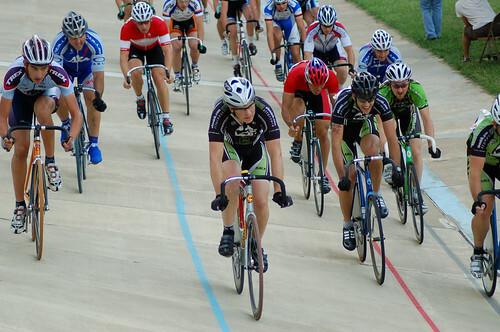 These classes are for any rider who wishes to become track certified and learn to race on a velodrome. Cost of the class is $60 and include loan of a bike if you need one. To sign up please contact Brian Sullivan, brian[at]dicklanevelodrome.com with your bike size or you can sign up online at the track fees page but please include a note with your frame size. The Atlanta date is July 12! Go ahead and make sure you are ready!